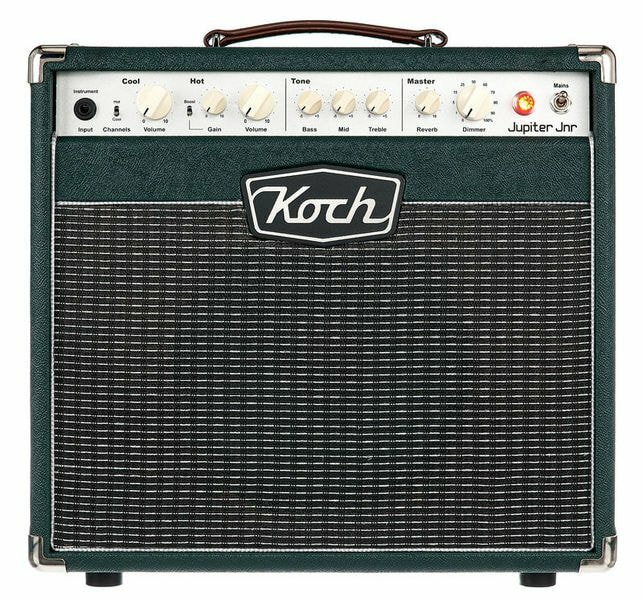 The Koch Jupiter Junior is a 20 Watt boutique, vintage style combo amp based on his bigger brother the "Jupiter 45". The Hot channel is a slightly different beast, with a smooth overdrive tone that's perfect for warm lead tones. Turn up the mids and treble, and you'll get a far more punchy sound that's ideal for old-school AC/DC-style riffing! Activate the Hot Gain Boost, and you'll get an even raunchier drive tone, offering more saturation and hair. With enough gain to get to hard rock levels, this channel can certainly dish the dirt, especially when used in conjunction with humbucker-equipped guitars.